Last week, Apple finally shipped my new HomePod (and by finally, I mean exactly when they said they would). And setting it up couldn’t have been easier. Even easier than setting up my first Echos. So here’s the deal. 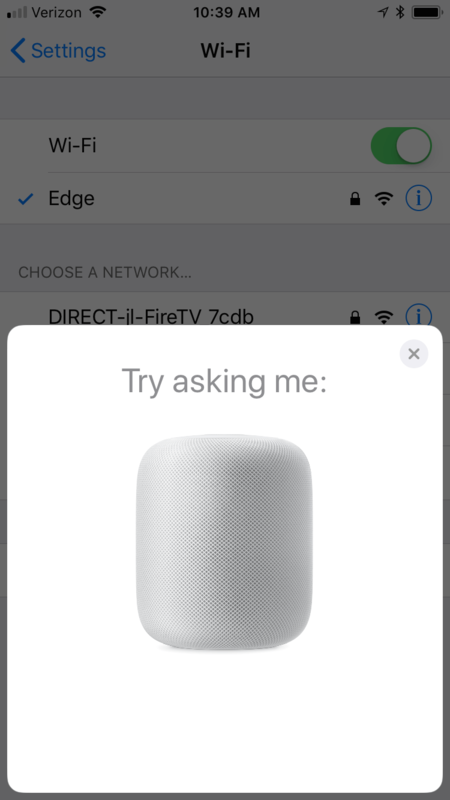 Plug in the HomePod and then when it boots up you’ll see an overlay on an iOS device (iPhone, iPad, etc). 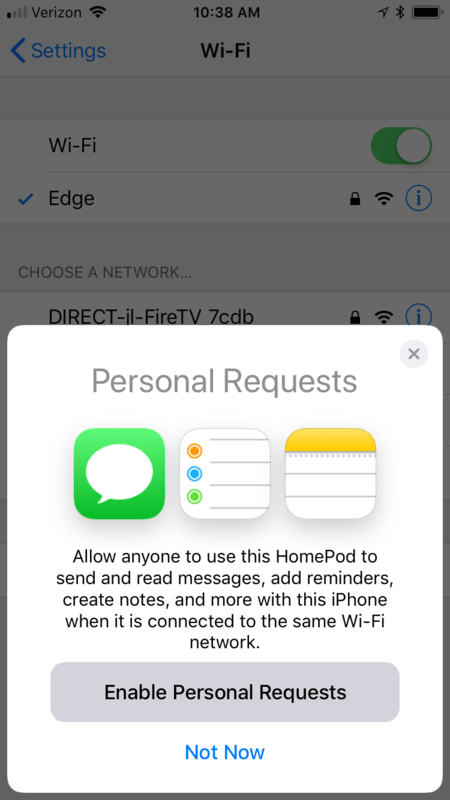 You’ll want to use the device that has an AppleID you want to use on the HomePod (e.g. the one that your Apple Music account is using). When you see the Set Up button, tap it. 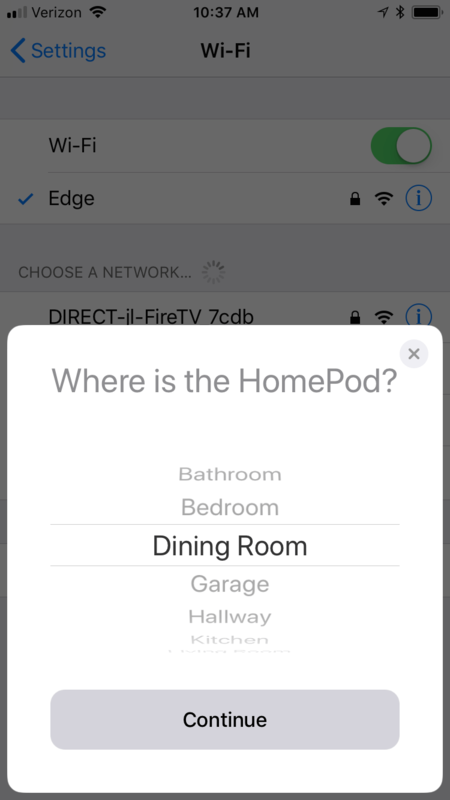 You can then select a location for the HomePod. 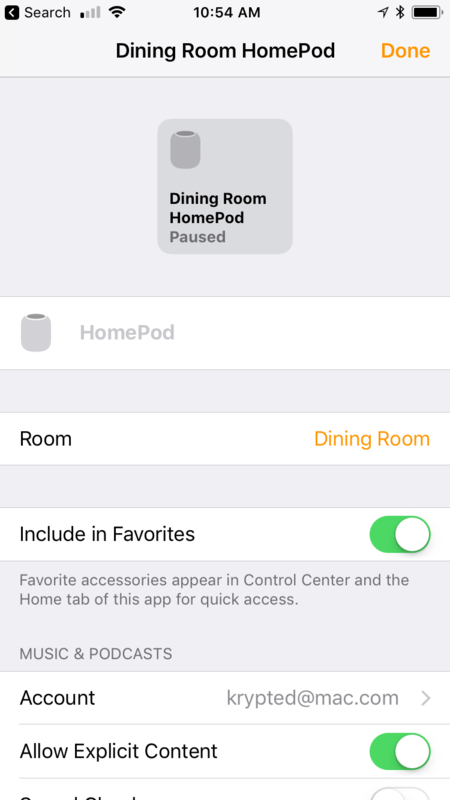 This is important mostly if you’re going to have multiple HomePods around. Select a location and then tap Continue. At the Personal Requests screen, tap Enable Personal Requests if you want the device to allow access to your iCloud account for things like, sending a message (note: unintended consequences include but are not limited to children deleting bad report cards, adding weird items to the grocery list, and sending messages from one parent to the other). 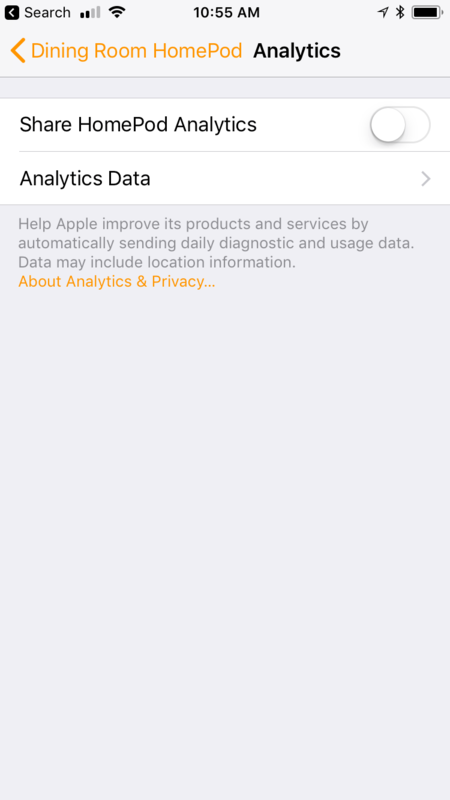 At the Terms and Conditions screen, tap Agree if you agree to the terms; otherwise put the device back in the box and return it. 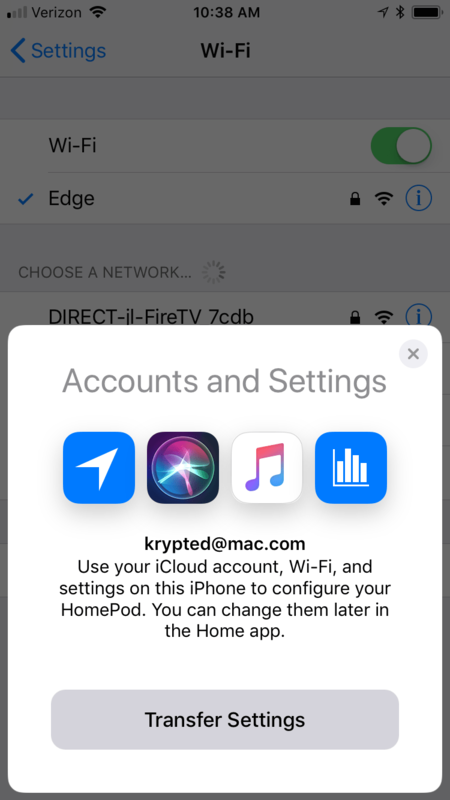 At the Accounts and Settings screen, you can transfer settings to the HomePad, which gives the HomePod access to the wi-fi password for your network (so your phone doesn’t have to be close to the HomePod for it to work). Next, you need to ask Siri a question. 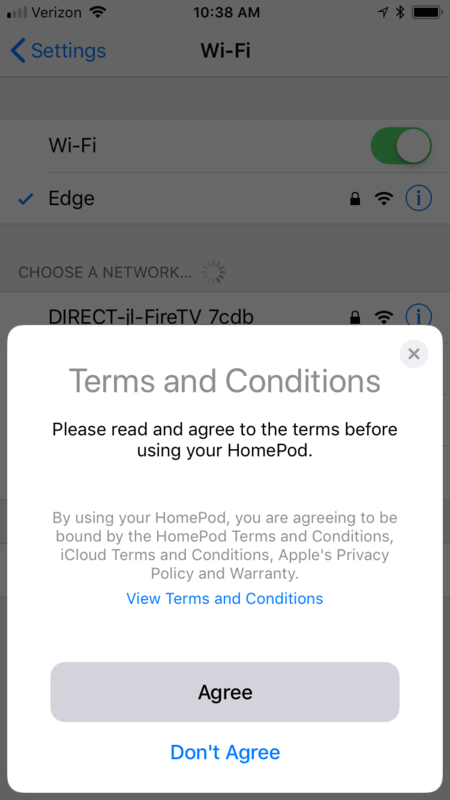 Once configured, you can go to Settings and AppleID to see the HomePod. 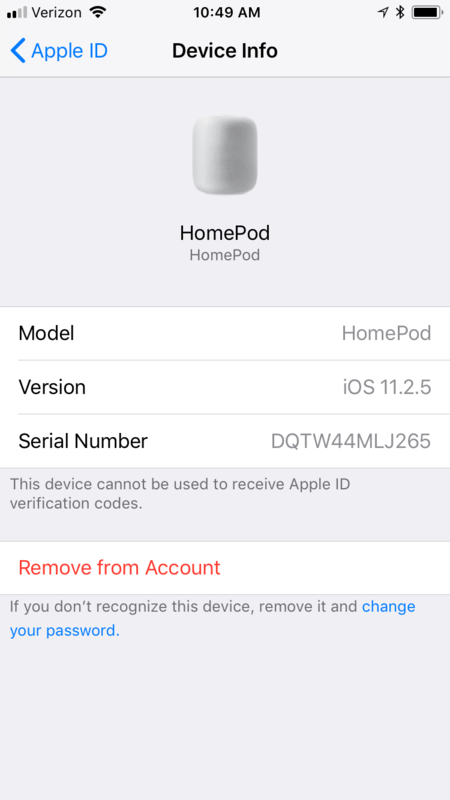 From there, you can see the model, version, serial, and if you happened to configure the HomePod to work with the wrong AppleID, you can tap Remove from Account to be able to configure the device with a different account. And finally, open the Home device and you’ll see your device. From there, tap on the device and you’ll have a few more settings for how the HomePod works with the Home app. 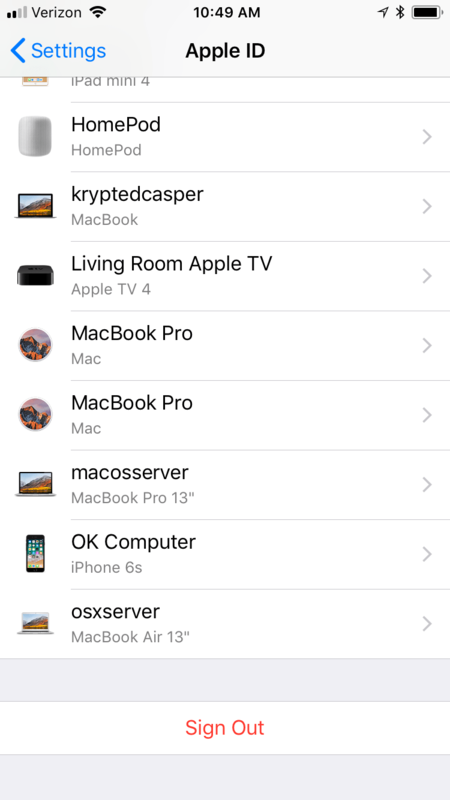 Here, you can change the room, change the AppleID, choose to include in the Favorites of your home screen, and disable access to Explicit Content. 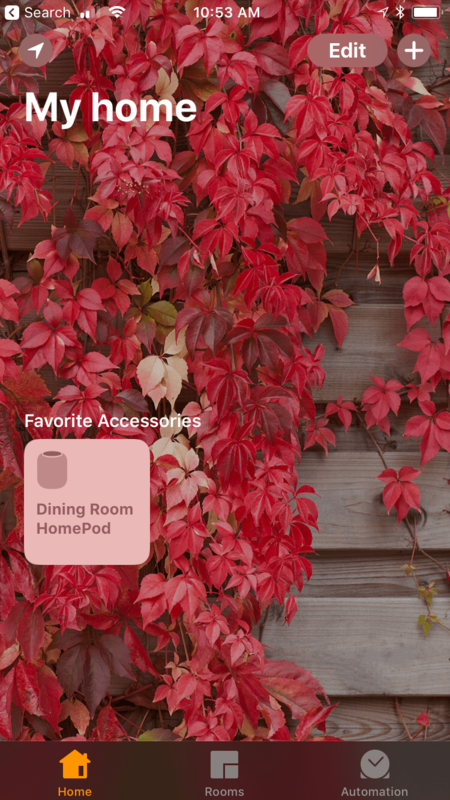 Scroll down and you can choose to share HomePod Analytics. Notice that this is opt-in and they’re clear about how they’ll use it if you enable it. So the setup is simple. 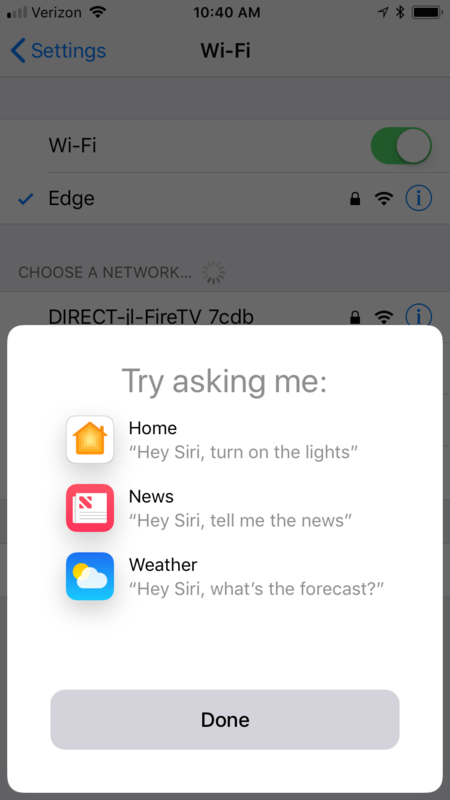 I’ll have another article for configuring some home automations, so you can control them with the HomePod.